What my family eats, and where our food actually comes from is a very important subject for me. There was a time when I didn’t really have much of a ‘food education’, and I didn’t think there was anything wrong with eating mac & cheese from a box, or starting a casserole with a canned soup, heck, I even used to buy shelf stable dal and sabzi in boxes and cans! These days though, if I have to choose something that comes in a box or pre-packaged, it’s really important to me that it’s the best, healthiest option available. Like everyone else in today’s world my family is stretched for time, and making three healthy meals a day is a struggle for me too; but it’s also a priority. We don’t always hit that goal, in fact, some weeks we eat out so much it’s embarrassing. However, just like last year, I’m looking towards the New Year as a chance to re-calibrate, and think about our family food goals for 2016. It might sound funny to set goals around how you feed your family, but I think what we put in our bodies is one of the most important choices we make everyday – why leave it up to chance? Before thinking about my new goals, I took a chance to review my thoughts from last year. 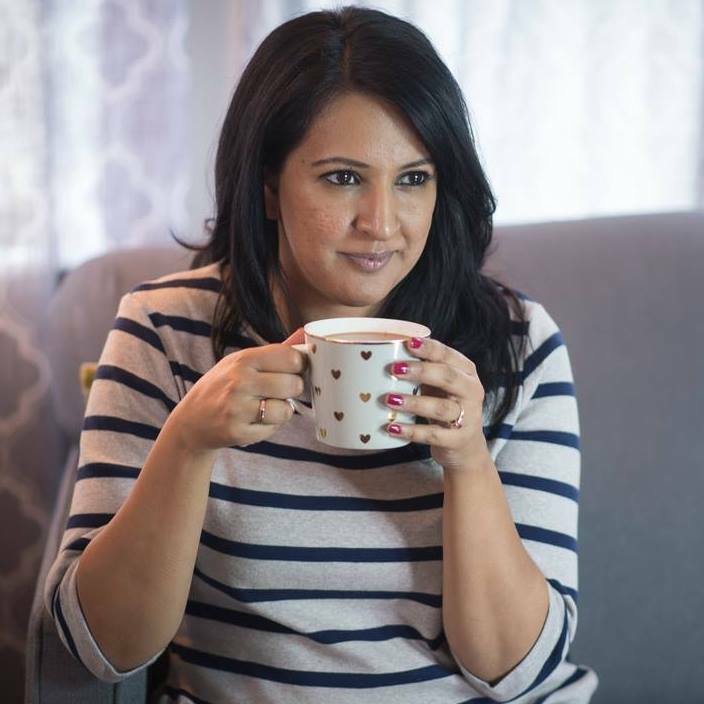 Here’s what we did do right; we ate seasonally (no mangoes in the fall), had some great long chats at the dinner table, and I learned some new traditional Punjabi recipes. The areas I think we could have improved on were; daily cooking, and less eating out! 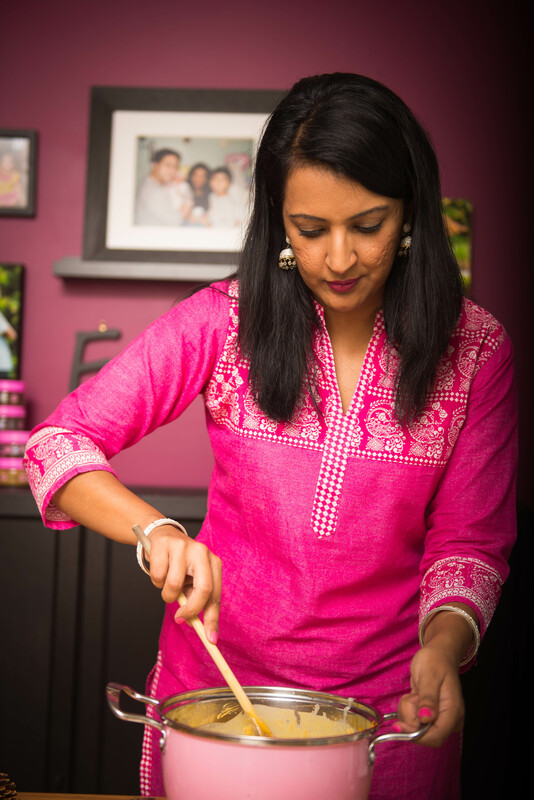 So what’s the plan for 2016 in the Pink Chai kitchen? We almost never plan our dinners out, but we often hit a drive thru at the last minute. This bothers me not only because we are feeding our kids junk, but because we are wasting our food budget. I’d rather replace 2 to 3 drive thru runs with one meal a month at a nice sit-down dinner at a restaurant once a month. This year I’d like to give my kids more foodie experiences than rushed, stressful (and guilt filled) visits to a fast food joint. For the most part I do all the cooking in our house. I don’t really mind, but since my kids are 8 and almost 12, I think it’s really about time I start empowering them in the kitchen, and providing the basic life skill of cooking. Plus I think it’s high time the Mr. learned how to cook something other than eggs. Oh the school snacks guys! My kids eat them all; fruit gushers, bear paws, and chocolate bars masquerading as granola bars (hangs head in shame). It’s just so easy to grab those and throw them in your school bag, and they are so much more fun than carrot sticks. This is something I’m really committed to changing this year, and it’s also the thing I will probably face the most resistance on. At our house school day breakfasts are usually; cereal, waffles, or pb&j sandwiches. All of which are filled with sugar. Add that to the snacks they take to school and my kids are overloaded on sugar. I’ve never been good at breakfast though so I’m really going to have to think about this. As much as I’ve been resisting meal planning, I know it’s something I’m going to have to do. My work life has come to a place where we’ll never get a healthy dinner on the table, and have time to sit and enjoy it if I don’t start planning and prepping part of our meals ahead of time. I also think there is space for me to stock some items in the pantry that are healthy and high quality options that we can turn to in a pinch. Now that I’m looking at my list all together it feels like a tall order! What are some of your family’s struggles at the dinner hour and how are you overcoming them? Share your thoughts in the comments below. PS: The importance of the family dinner hour, the lost art of homemaking, and my 2015 food goals.